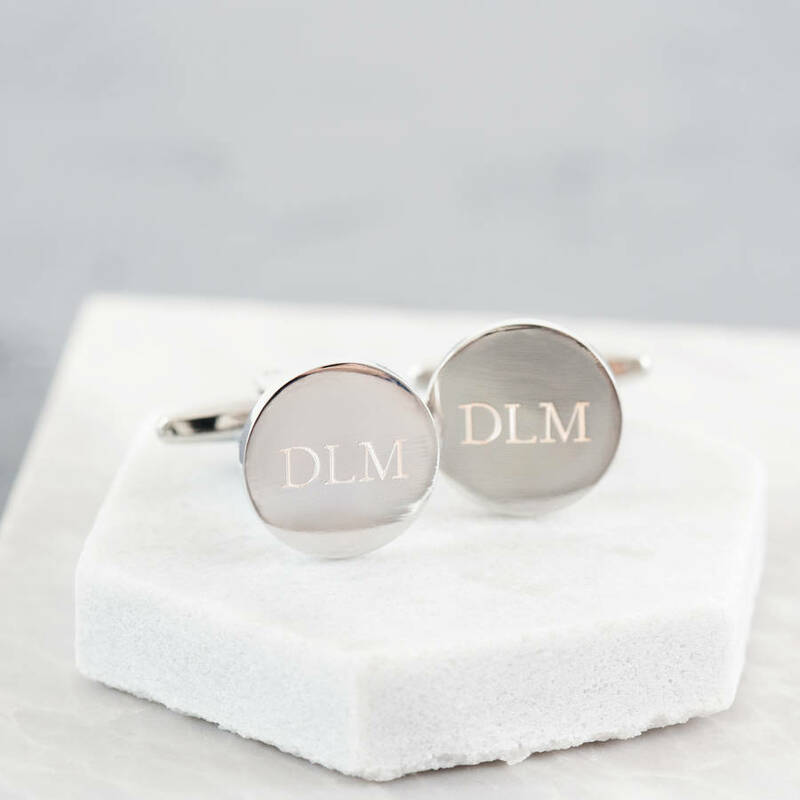 These personalised cufflinks make a lovely gift for your bridal party and are all the more special as they feature your choice of engraved message. 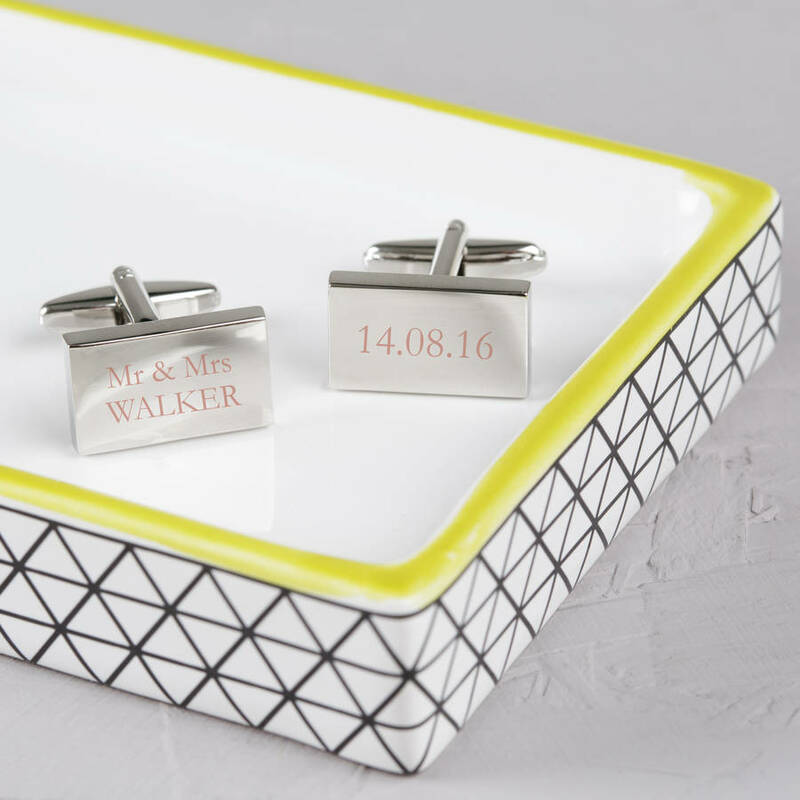 These cufflinks make a lovely gift for any groom, best man, usher, father of the bride and any other guest. Choose your own personalised message to be engraved. Popular choices include the newly weds married names, wedding date, the couples names or venue. Rectangular Cufflink : 22 characters maximum per cufflink. Square Cufflink : 16 characters maximum per cufflink. Round Cufflink : 4 characters maximum per cufflink (we recommend upper case only for these). Please double check all details and spelling are correct as we will engrave exactly as per your order. 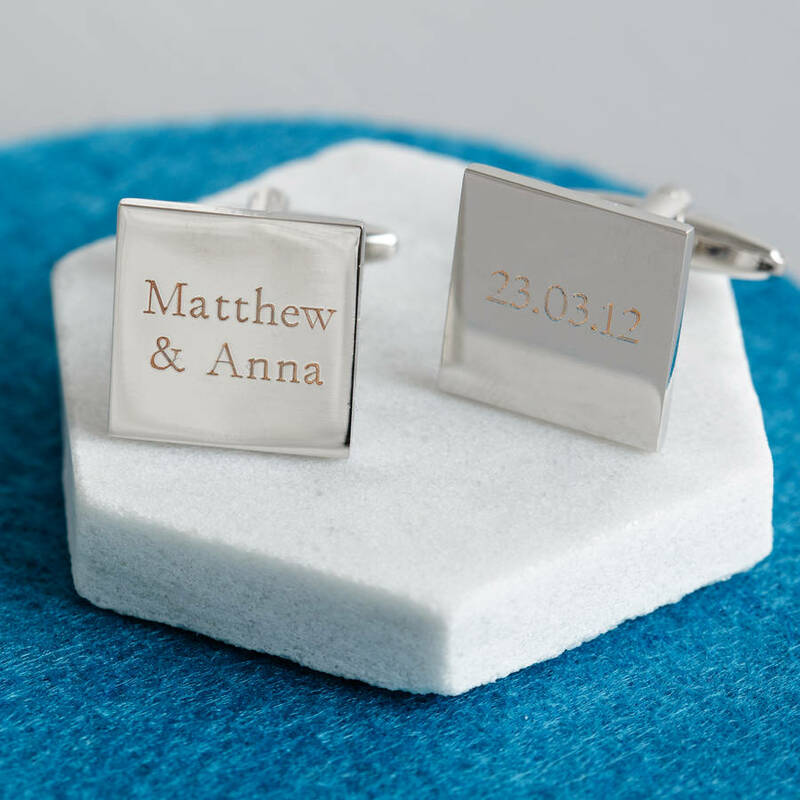 We recommend you keep all wording to upper and lower case unless you are wishing for initials or a date to be engraved. A gift box is available for an additional small cost which is ideal if you'd like us to send it direct to the recipient or ensure it arrives with you ready to gift! 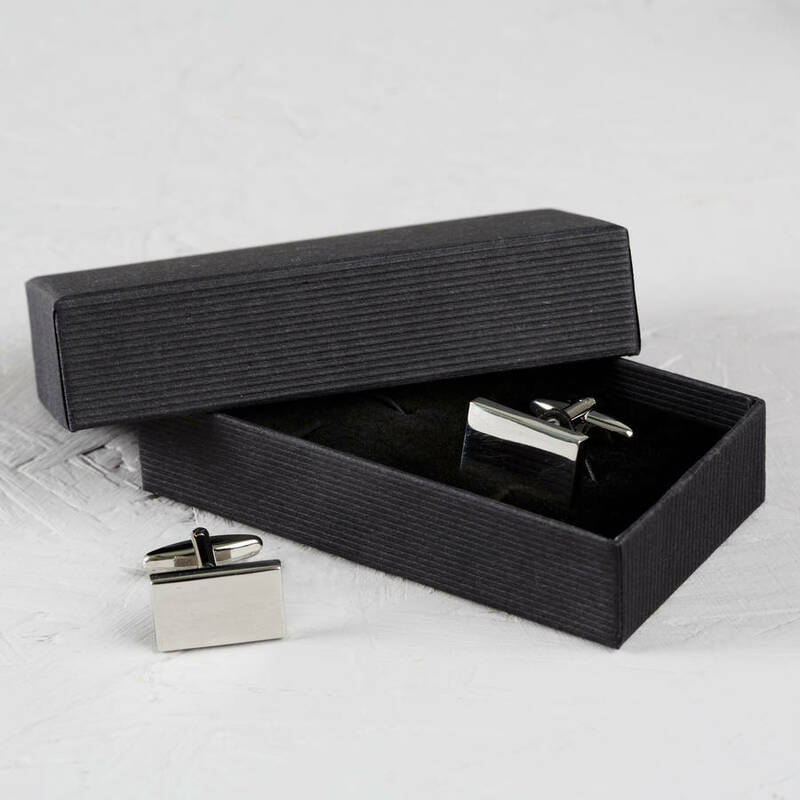 The rectangular cufflink measures 2cm x 1.1cm x 0.3cm each. 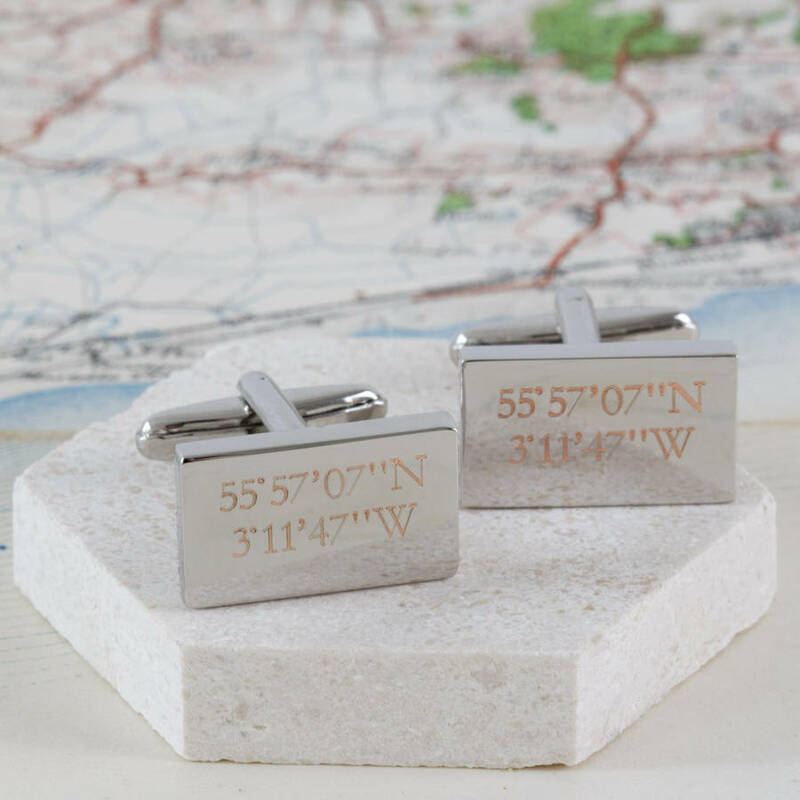 The square cufflinks measure 1.7cm x 1.7cm x 0.3cm each. The round cufflinks measure 2cm in diameter x 0.3cm. The gift box measures 8.5cm x 4.5cm x 2.8cm. This product is dispatched to you by Twenty-Seven.